On today’s MLL conference call, Ohio Machine head coach Bear Davis discussed several topics leading up to their first game. We feel that last year, we had some missing pieces to the puzzle, whether guys were in the NLL or still in college and all of them having a hand in our team later in the year. So having those keys guys in training camp knowing the team chemistry, and even the addition of Brian Karalunas, showed some great veteran presence, I felt like our training camp was elevated in many ways. He’s been around not only the lacrosse side of it, but also the business side and he brings a whole different perspective to the table, and also professionalism. He does a great job of leading by example for our guys. 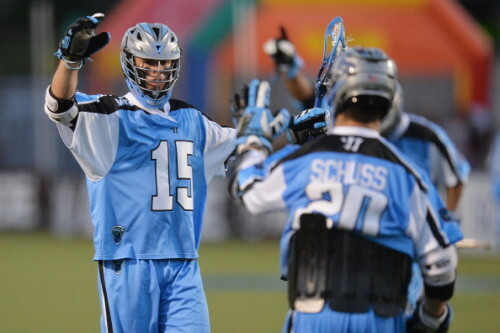 I think he’s great not only for the Ohio Machine, but great for the league. He understands the commitment level that it takes to be successful and he is incredibly unselfish. I think BK is quietly intense and takes the game of lacrosse very personal. He is another guy that understands the business side from being with Maverik. He cares and is very passionate about seeing the game grow. He is a two-player swing in my mind. As I watch film from last year, I don’t think people realize how big of a part he played on the wing for faceoffs for New York. He was one of the sole purposes why you wouldn’t have even known Steele (Stanwick) was really in the game because it was BK covering him. He is a great positional defenseman and is really smart in many aspects of the game. There’s no doubt that the history of this matchup hasn’t gone our way, but when a club starts off 2-12 (in each of the team’s first two season) there aren’t a lot of teams that you have a great history with. I feel like we create our own history every time we step out onto the field and let it define who we are, which is how we are approaching this game. I like the 2015 Machine team and we completely understand that we have a tall task ahead of us. The main pieces that had a hand in our league-leading 200 goals are all back and we just want to find a balance to help us win games. Certainly the guys are going to know each other better and we want to try and score a goal every time we have the ball. One thing I don’t think people realize is how big of a role the defense played in helping score as many goals as we did. They are all transition-minded and we want to take advantage of that. We realize that we might have a slight unbalance between LSM’s and close D guys, but we have several guys who have experience in both spots, such as Steve Waldeck and Brian Karalunas. We also brought some guys in like Michael Noone who might be the most pure base defenseman that we have. He is an incredible communicator and we are excited about him and his ability to shut some guys down, so we will see where he fits in as well. When you only dress 19 guys, I don’t think it’s terrible to have guys that have the ability to play close and pole.